After settling on their new name, First Trust Company asked HenkinSchultz for help in creating a bold new logo. We also refreshed their color palette with a look that spoke to how they’ve been an established presence in their field for years, but that was also an elegant, modern update. This process forced them to look not only at where they were in the marketplace, but who they are as a company. 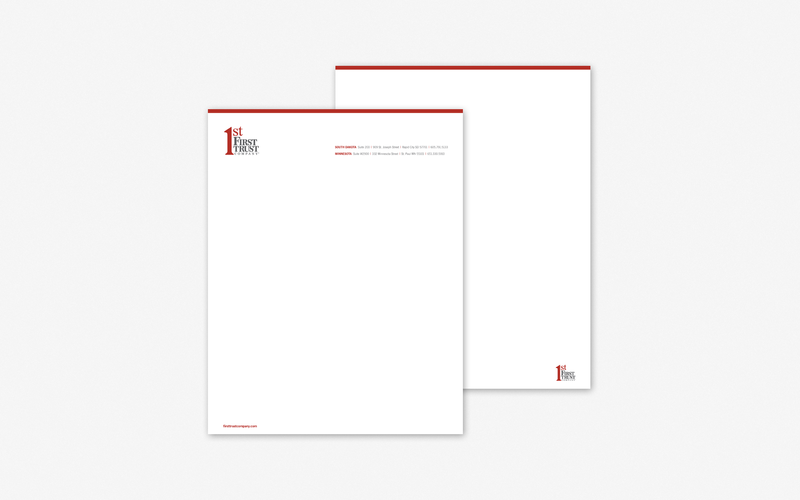 This led to the development of a brand narrative that put First Trust Company’s vision and values down on paper. “Before taking pen to paper or creating even the outline of a graphic design, it was clear that our colleagues at HenkinSchultz all were deeply committed to first understanding the ‘why’ of our business,” said First Trust Company President John Bultena. 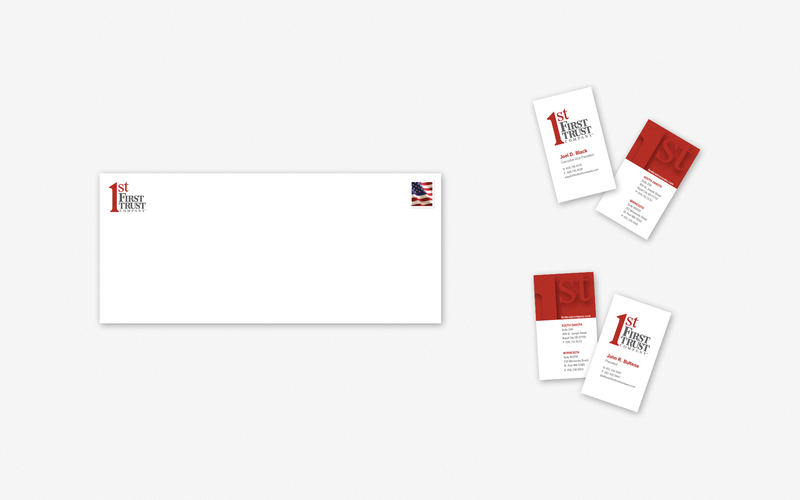 Additionally, we completely overhauled their business cards, letterhead and stationary. 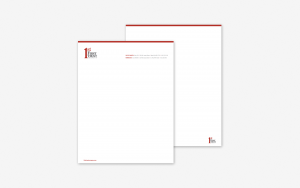 We helped them create a transition letter for their clients that stressed that though their name has changed, the company they put their trust in hasn’t. 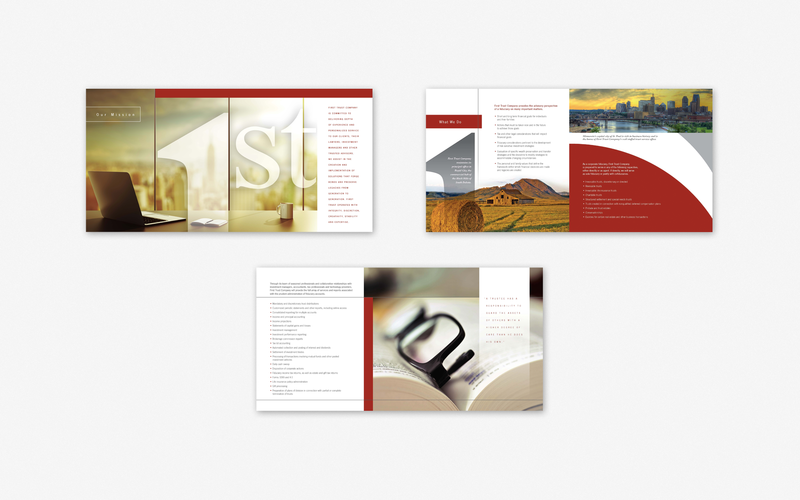 We created new brochures that were developed for their target consumers: lawyers, consultants and clients. 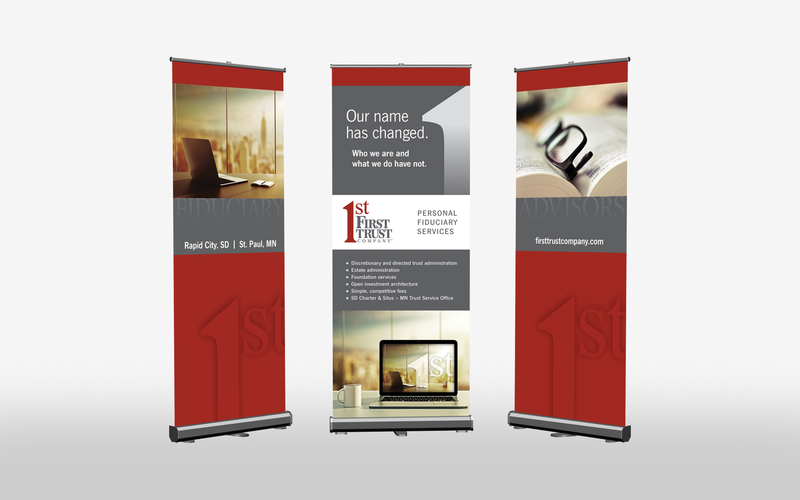 We created a trade show booth and giveaways to help promote their new look. We’re currently re-designing their website. All of this is done with an eye on future expansion in mind. As we said before, we were excited to get a note from First Trust Company saying they were a “happy client.” We’re more than happy to get to work with them and are thrilled about their bright future.